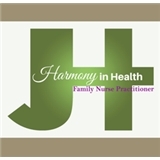 Harmony in Health (Fairfax) - Book Appointment Online! "Our focus is YOU" In addition to basic primary care, Harmony in Health also provides weight loss and wellness medical care. Our focus is happy, healthy living. Wonderful experience. Jessica did not rush through the appointment, she took time to get to know me. Dedicated to patient/provider relationship and took the extra step to ensure proper healthcare.